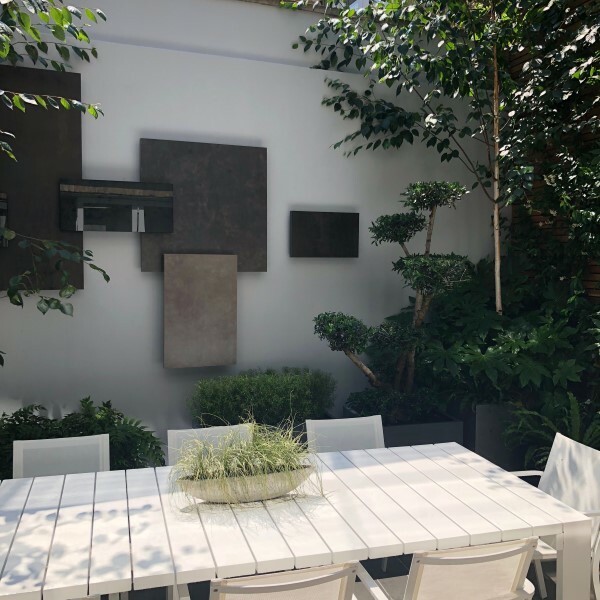 We were asked to help redesign a ground floor courtyard and roof terrace by our client who owned a terrace house in Fulham. 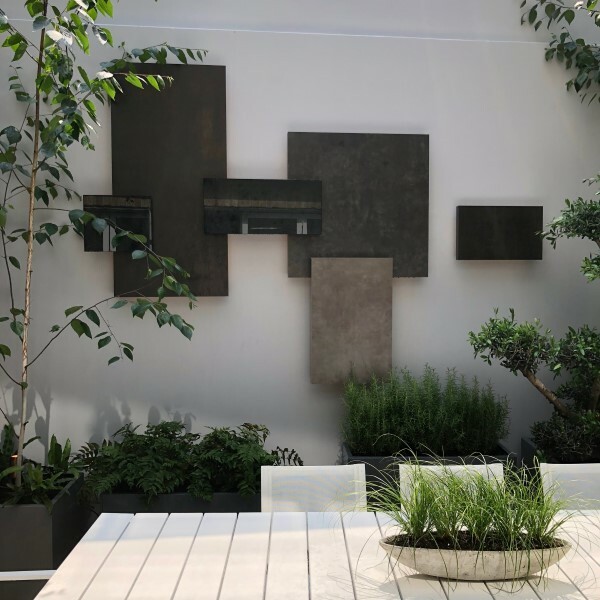 The house was being completely renovated by Cartertyberghein and our remit was to dovetail the design of both spaces with that of the interior. Neither outside area was large, and storage was required for 3 x bikes, two wheelie bins, a barbeque, space to accommodate bifold doors when folded, and an air conditioning unit and ducting. Privacy was also necessary from a neighbouring roof terrace. 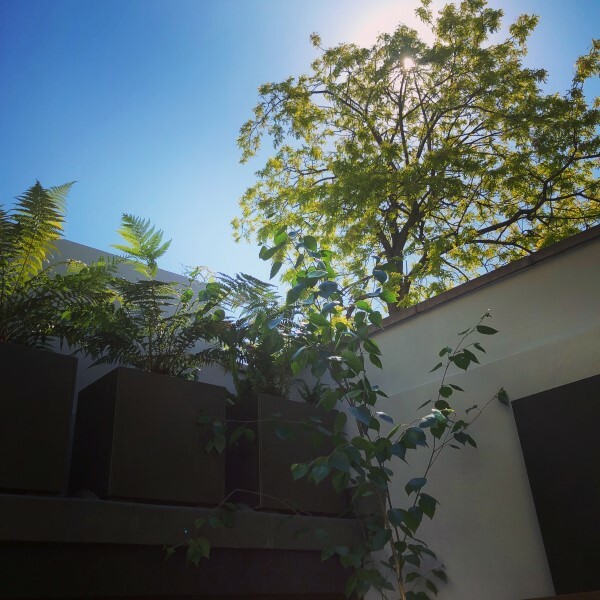 In the courtyard we designed a built in store will sliding doors the full width of the terrace which housed vertical storage of the bikes, hid the air conditioning ducts and irrigation unit. The doors were made from bespoke metal fretwork which was powdercoated in a bronze colour. 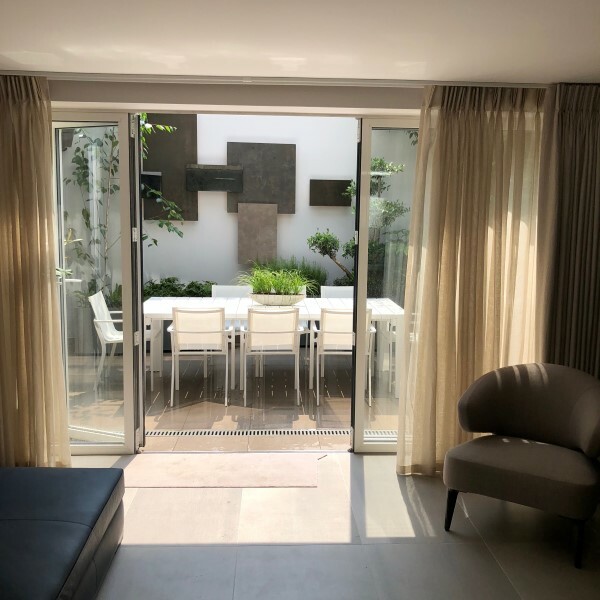 We then backed the fretwork with slightly frosted glass which allowed light through and could be back lit to give a sophisticated look at night. 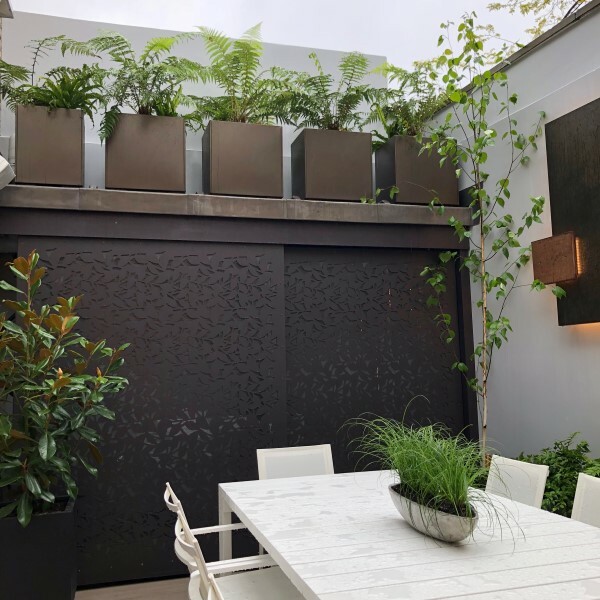 We clade the wall with the neighbour’s roof terrace with Cedar slats which hid the irrigation and lighting cables but still allowed them to be accessible. This then screened off the neighbour who was pleased to have a new fence! The walls were painted a pale grey to link with the interior. We designed a bespoke light fitting which also acted as a piece of sculpture made from bronze antiqued glass, stone and ceramic sheets. 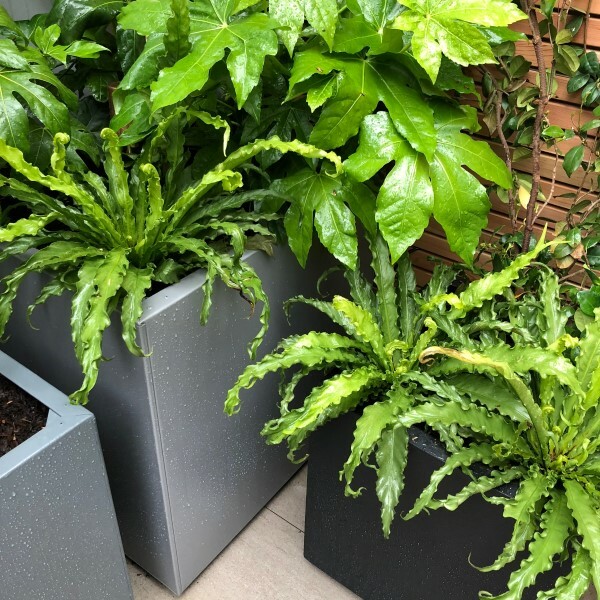 The planting was predominantly soft and evergreen: Ferns were used to hide the air conditioning unit, Beech trees with white bark tied in with the garden furniture. Herbs were included in the scheme to add to meals and the barbeque. 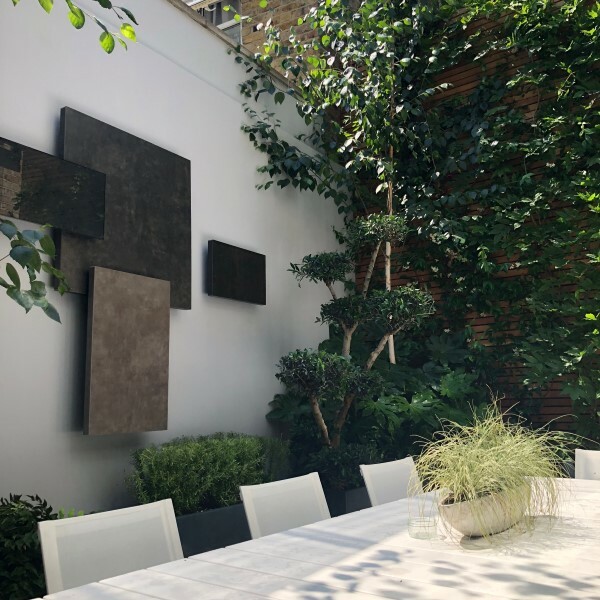 Upstairs the roof terrace had large comfortable sofas and a coffee table with tall evergreens to the sides, however the view out from the house was beautiful with many mature trees, so we installed low planters which enabled you to see the trees when inside – distance creating a sense of space.